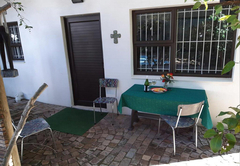 Rhodes Self Catering Apartments is a property providing self catering in Stellenbosch for tourists visiting the Cape Winelands region. 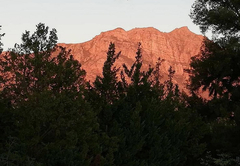 Situated close to the heart of Stellenbosch, Rhodes Self Catering Apartments offers accommodation in two separate units just 50km outside of Cape Town. 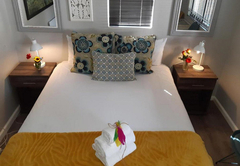 The accommodation is perfect for couples or friends who would like to explore Stellenbosch and the surrounding Winelands. 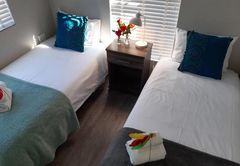 The units have a laptop friendly work space, a private entrance and Wi-Fi. 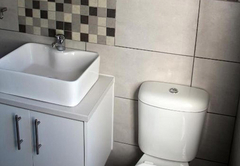 The modern apartment has two bedrooms and one bathroom. 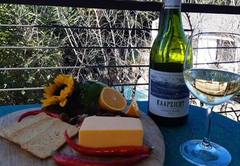 There is a fully equipped kitchen and a large balcony with views of the mountains. Secure parking is provided behind gates. 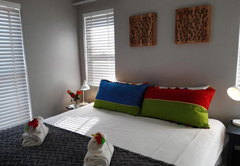 The newly built studio has one bedroom furnished with a Queen-size bed and a bathroom with a shower. 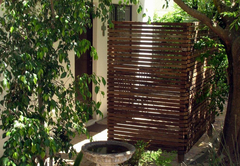 The studio has a private entrance, an equipped kitchenette and a patio area. Safe parking is provided. 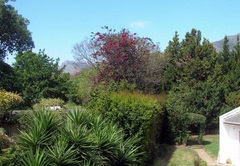 Attractions in the area include world famous vineyards, wonderful restaurants and museums. 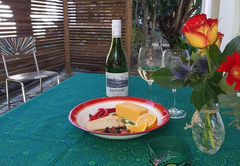 The town of Franschhoek is a short drive away as are Gansbaai and Hermanus. 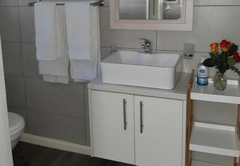 Newly built, modern and elegant, 2 bed, 1 bath apartment on the first floor. 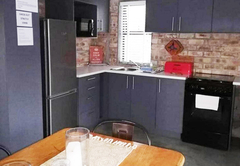 Fully equipped kitchen with new appliances and is therefore ideal for families or friends. A large balcony with a view to the mountains. Safe parking behind gates. 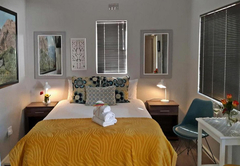 This lovely new built studio has one bedroom with 1 queen bed and a private bathroom with a shower. 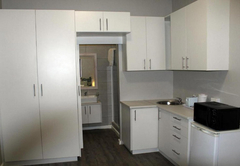 A kitchenette allows for self catering and the studio has a private entrance with patio and seating area. Safe parking behind gates. 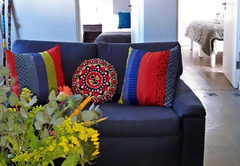 Response timeRhodes Self Catering Apartments typically responds to requests in 5-10 minutes.